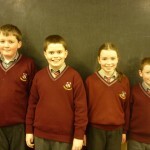 Enniscorthy Credit Union Schools Quiz! 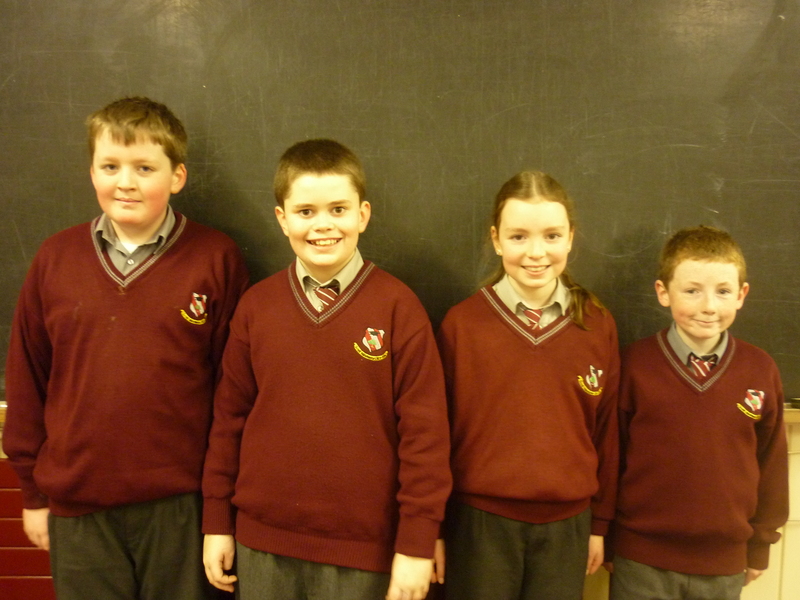 Classes from 3rd to 6th are currently doing trials for the Credit Union Table Quiz. 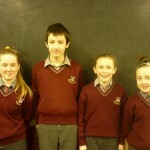 Teams will be announced in the coming weeks. 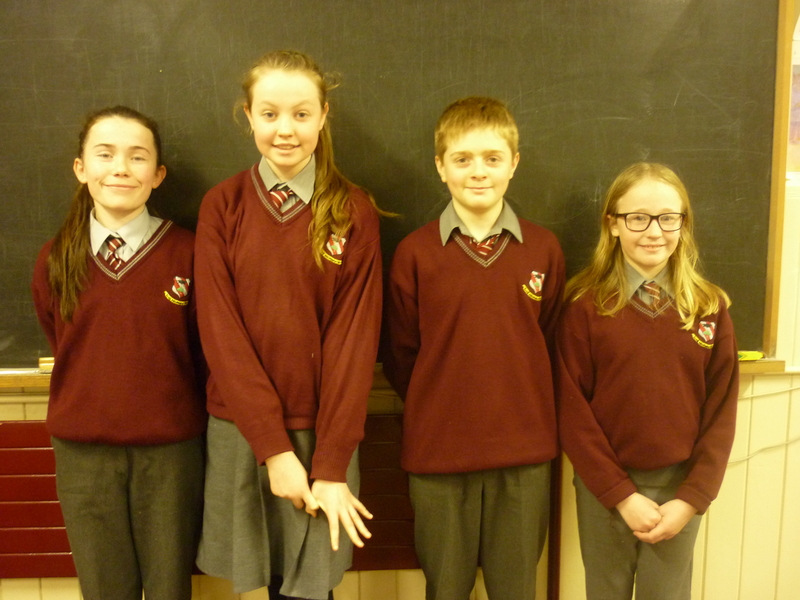 The very best of luck to our two Under 13 Quiz Teams and our Under 11 Quiz Team taking part in the Enniscorthy Credit Union Schools Quiz on Sunday the 31st of January in The Riverside Hotel. 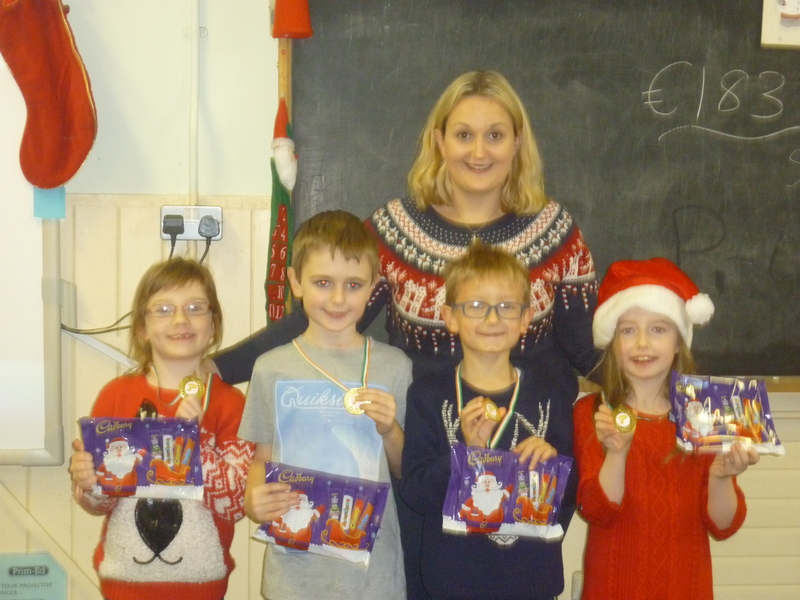 We know you’ll do both your school and families proud!!! Congratulations to all the children who won medals in our ‘Problem Solving Quiz’. Every Tuesday and Thursday the children take part in a maths table quiz, this is part of our school improvement plan. 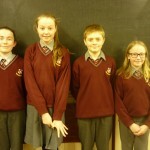 The quiz’s have resulted in a very high standard of mental maths and problem solving abilities amongst our students here in Kiltealy N.S. 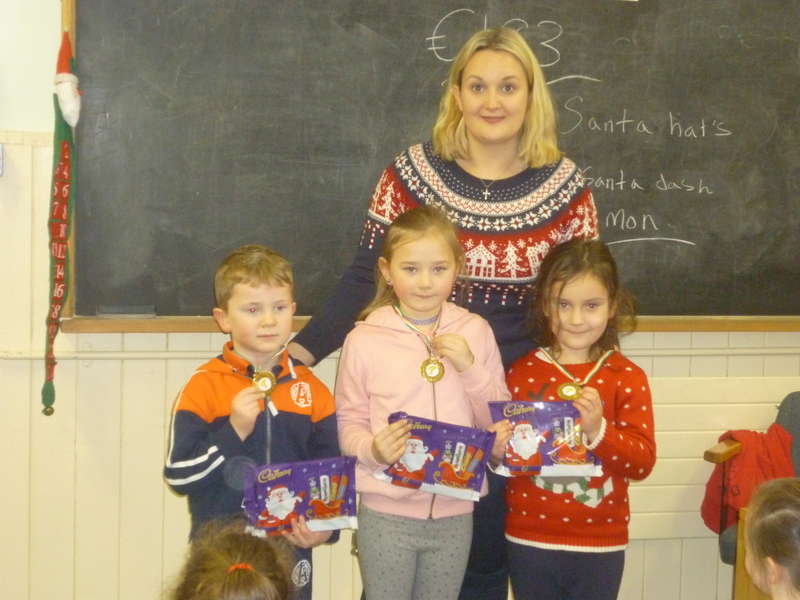 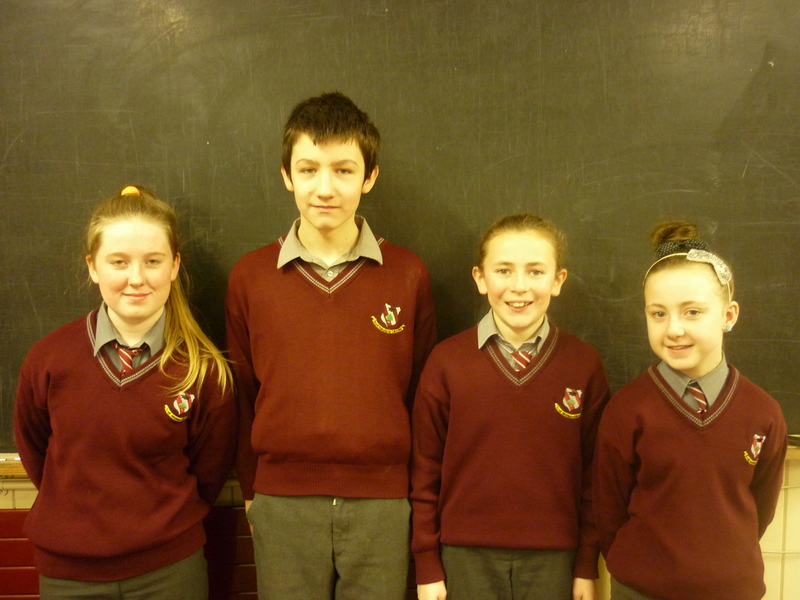 Last weekend, we had 2 teams from Kiltealy National School in the Credit Union Quiz. 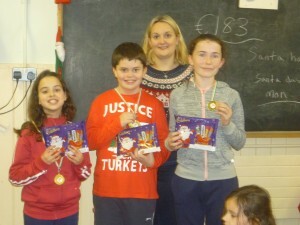 The under 11 team was Katie Breen, Kerri Doyle, Aoife Pender and Ian Blake. 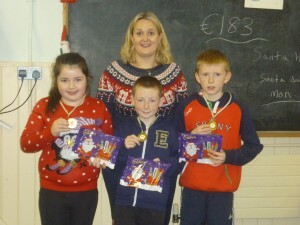 They came 4th in the quiz and won €15 each. Our under 13 team consisted of, Aaron Smyth, Fionn O Múirí and Dylan & Robbie Tyrell; they just missed out on a prize by coming 6th place.